Our (very nice) customer, Fremco, showed up today with a cake to celebrate a milestone in the development of a common project. 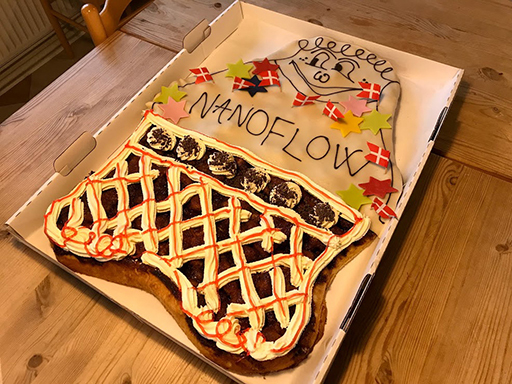 The cake tasted good, despite the baker's mistake of writing 'Nanoflow' instead of the correct name of the product: 'Microflow'. Microflow is a fiber blowing machine. Seluxit is helping Fremco connect the machine to the Internet.